We were in Hawke’s Bay last weekend for a family wedding, a year on from the big ceremony at Matahiwi and the presentation of Jacob Scott’s laureate sticks. So it was a blast to find out some months back that my Australian niece and her Kiwi boyfriend were planning to get married in Hawke’s Bay where his large family has its headquarters. We were happy indeed to gather at Clearview Estate, just down the road from Haumoana, for the wedding which brought people from far and wide and was a high-water mark for both families. The matua tokotoko was along for the occasion and was passed from speaker to speaker at the reception. It seems clear that the more this and the other laureate sticks go hand to hand, the greater their mana becomes. The wedding speeches were eloquent and moving, and of course the groom’s father knew Jacob Scott and is a published poet himself. These are the things you find out at weddings. My part in the speeches was to read a poem written a few weeks ago and soon to be the last-but-one component of the collection that will be published in late June as Mirabile Dictu. It’s fair to say that of many wonderful things that have happened in the course of the laureate year and a half, none is as wonderful as the story that brought us all to Clearview for Almitra and Joel’s wedding. 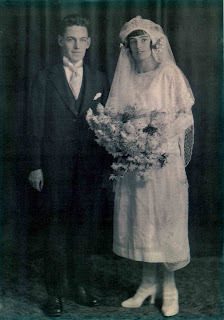 How the story circles: our grandparents were married in Woodville in 1924 and my father was born in Hastings a year later, so there is a family connection to the Bay that just got a whole lot stronger. What a lovely post and poem. Thanks.